For World Diabetes Day later this week, we wanted to find out if it was possible to reverse the condition completely. Whether you’ve been diagnosed with type 2 diabetes or you’ve been told you’re at risk, read on to find out how and if you can reverse the effects of diabetes. We sit down with Dr. Andrew Jamieson, who is a Consultant Endocrinologist at Valiant Clinic with over 20 years’ experience in general medicine, diabetes, endocrinology, acute medicine, and eating disorders. People with type 1 diabetes are usually born with it. Their body cannot make insulin on its own. As far as we know, there’s no cure for type 1 diabetes. But you can reverse type 2 with lifestyle changes. 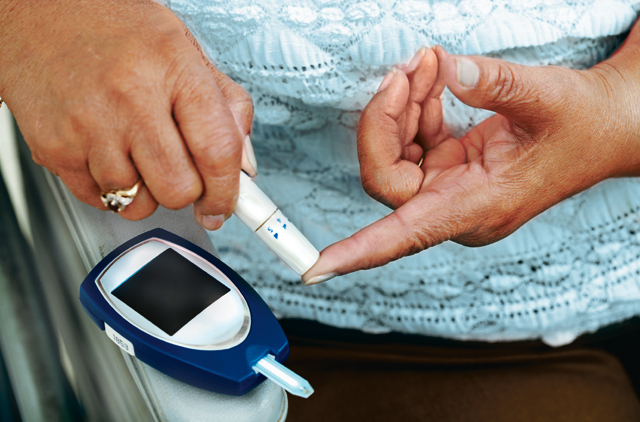 There are two vital factors linked to the increase and prevalence of diabetes in the UAE. The first one is genetic factors – it is still unknown why GCC nationals are predisposed genetically to the development of type 2 diabetes. Usually having just one parent with type 2 diabetes confers a lifetime risk of type 2 diabetes of around 50 per cent on the child. The other factor is lifestyle. A recent article in the journal ‘The Lancet’ highlighted the rapid rise in childhood and adult obesity in the MENA region – both in the absolute number of individuals with obesity and the speed at which they are gaining weight. What exactly is a bad lifestyle? Fast food, energy drinks and sugary sweets are also driving this as well as a reduction in childhood and adult exercise. Evidence suggests that from the age of 5 onwards, we can detect those individuals who will become overweight or obese as teenagers. Our main fear is that the new generation dies younger and younger! The cornerstone of treatment is lifestyle modification – this can reduce the need for medication, or even prevent it being used for many years if done properly. Preventing diabetes through diet alone is almost impossible, but a vital part of the solution. It is the first step to take. Here is what you need to remember when you eat. Make sure your calorie intake is moderate and never goes above 2,000-2,500 calories per day unless there is a clear need for such an increase. Decrease your carbohydrates, as they are the main cause for a spike in your blood sugar. Carbs are converted into sugar, when they are broken down in your body. Avoid energy drinks on a regular basis, as they are high in sugar and caffeine. Eat at least 5-7 portions of vegetables or fruit per day, especially those which are low in readily available sugar e.g. grapes and mangos. The trick of this, is to get your tummy full on whole foods, rather than refined and processed things. Alcohol is not great for your blood sugar at all and can lead to toxicity in your liver. Heavy drinking (three or more glasses a day) is really bad for your body and causes a dangerous spike in your blood sugar levels. To reverse the high blood sugar level and bring it back to normal, we need to see a healthcare professional with experience in both diagnosing and managing diabetes and its complications. If you start your day with a high protein meal that hardly has any sugar in it, you typically feel full and satiated for the entire morning until lunch. To keep your blood sugar levels steady, try a low fat meat option with a fresh side salad. At this point you can have a snack, which involves some dairy or nuts. End the healthy day with a big chunk of protein and warm, filling veggies. Breakfast: 2 Egg omelette with green spinach and crumbled up Feta cheese. Dinner: Grilled Salmon with roasted cauliflower, broccoli and new potato. In addition to a healthy diet, a great way to prevent or reverse diabetes is through regular exercise. When you are someone who exercises regularly throughout your life, you aren't just preventing diabetes, you are preventing all kinds of diseases. The healthiest people exercise at least three times in the week, to the point that they sweat. Make sure you do both HIIT cardio and weights as well.